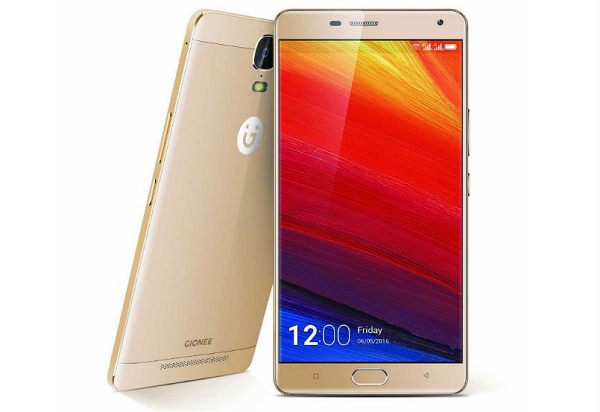 Last year, in the month of December Gionee, has launch Marathon M5 Plus, which is the successor of Marathon M5 in China, now after six months, the company has launched this Marathon M5 Plus device in India. The company has priced this smartphone at Rs 26,999, and it will be available online exclusively via Flipkart, and will also available at its retail outlets across the country. It will be available in two color variants – champagne gold and polar gold. Norton Marathon series is always known for its battery pack, and same is the case with Marathon M5 Plus which comes with 5,020 mAh battery, which the company claims can give up to 21 hours of talk time and a standby time of up to 619 hours. The company has added a dual charge technology, to which company says, it will prevent from overheating and enables fast charging. Another thing which you will find in this device is that it comes with the fingerprint sensor which is embedded into its home button. When it comes to specs, Gionee Marathon M5 Plus flaunts a 6-inch full HD AMOLED display with 2.5D glass, under the hood, it is powered by a 1.3GHz MediaTek MT6582 octa-core processor along with 3GB of RAM and comes with 64GB of internal storage which can be further expandable up to 128GB via a microSD card. When it comes to the photographic front, it features a 13-megapixel autofocus rear camera with LED flash and there is a 5-megapixel selfie camera and front as well, for connectivity, it supports dual-SIM card slots, 4G LTE with VoLTE support, Wi-Fi, Bluetooth, GPS, and USB Type-C. And when it comes to the smartphone, it runs on Android 5.1 Lollipop wrapped under Amigo 3.1 UI.